It is crucial to evaluate the needs of your ranch before making bull selections. The genotype of an animal is just one part of a much larger system. Factors included in bull selection process should be the genetics of your animals, the physical production environment, fixed resources, management, production inputs and marketing end points. Select the traits and performance levels that make sense for your ranch and profits will increase. That was the advice of Mark Johnson, associate professor of animal science at Oklahoma State University, as he presented ideas for simplifying bull selection on sale day to attendees of the 2017 Angus Convention in Fort Worth, Texas. Johnson presented his comments Nov. 5 during an Angus University educational breakout session that included two presentations on using expected progeny differences (EPDs). Johnson explained that a ranch’s breeding objective should depend on the system and the interactions of the environment, management, and economic components, as well as understanding how they interact with genotype to affect profitability. For example, a ranch with lush forage and adequate rainfall can support bigger cows with higher milk production, whereas one with limited resources in a dry environment might not be as profitable with big, heavy-milking cows. “If you look to identify the type of cattle that work for you, the genetics that have value, the things that result in a level of performance in traits that you get paid for, and the interaction between how all those things work, it leads you to what you want to select for in order to maximize profit and try to arrive at a type of genetics that are going to make you the most money,” Johnson explained. Selecting the best animal in a sale depends on what traits are economically relevant and what genotypes result in phenotypes leading to the most profitable level of performance, he noted. The bull that brings the most money at a sale is not necessarily the one that could go into your operation and transmit the genetics into your herd that result in the most value in your next calf crop. The process of producing a steer starts with selecting a sire for a cow-calf operation, weaning the calf, running him in a stocker program, going through the finishing process and then seeing the result, Johnson said. There is a time lag between genetic selection and when the economic effect of that selection is seen, making bull selection a critical decision for an operation. Customers in search of Angus bulls are very diverse and should be strategic in their selections. Balancing nutrition and forage base to mature cow size and milk is essential to optimizing reproductive efficiency and maternal performance, he emphasized. Commercial cattlemen should take the time to evaluate the programs they are interested in purchasing bulls from to make sure their objectives align. Seedstock producers have a huge responsibility to breed cattle that work in their environment and that will work for those around them, Johnson said. Typically, producers share the same basic needs and resources as commercial cattlemen within a 100-mile radius. Knowing the goals of their customers’ operations can assist seedstock producers in making bull selections. 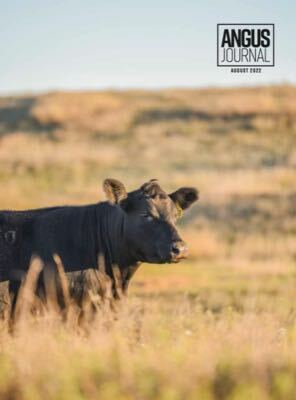 While growth traits and health are important for stockers, finishing operations want efficient gain in cattle that will grade Choice or higher and be at least a Yield Grade 3, Johnson shared. Terminal programs looking to retain calves through feeding may use the $B beef dollar value index ($Value) to help determine the right bull for their goals. Maintain a relationship with your customers to ensure the genetics you’re supplying will help them be profitable with their marketing end point, Johnson concluded. Editor’s Note: This article was written under contract for or by staff of the Angus Journal as part of Angus Media’s coverage of the 2017 Angus Convention in Fort Worth, Texas, Nov. 4-6. Tierra Kessler is a freelance writer and Angus producer from Milton-Freewater, Ore. For permission to reprint, please contact editor Shauna Rose Hermel at 816-383-5270 or shermel@angusjournal.com. For complete coverage of the event, visit www.angus.org/Media/News/AngusConvention.aspx.